The new MacBook Pros will come in Silver and Space Grey, and feature Apple’s new OLED touch strip that responds to gestures and taps, called the Touch Bar. While the Touch Bar will support all the system functions, such as volume control and screen brightness, it will also adapt to the software you’re using. The new MacBooks also come with a Force Touch trackpad, similar to the one that shipped on the 12-inch MacBook. Apple CEO Tim Cook said the new MacBooks are “absolutely incredible” and are the thinnest and lightest Pro models they have ever made. The 13-inch model is 17% thinner than its predecessor, coming in at 14.9mm. It also weighs almost half a kilogram less, coming in at under 1.4kg. The 15-inch model is 15.5 mm thick, compared to 18mm before (14% thinner), and weighs just over 1.8kg. The laptops also feature 2nd-gen butterfly mechanism keyboards. The new MacBook Pro also supports Apple’s fingerprint authentication system, Touch ID, along with Apple Pay. Its Touch ID sensor is located where the power button was, allowing you to bring the computer out of sleep mode while authenticating with your fingerprint. 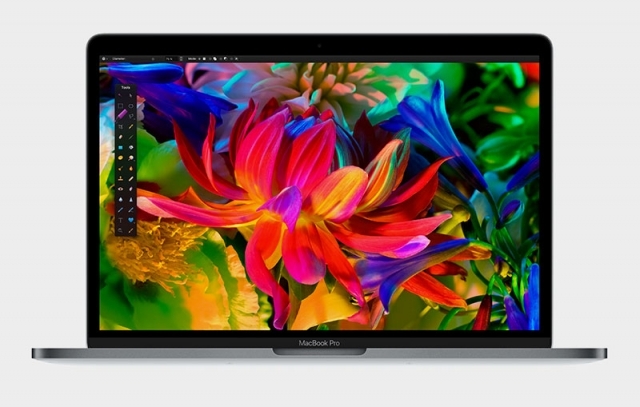 The new MacBook Pro will feature the best Mac display ever, which is 67% brighter, has a 67% higher contrast ratio, and a 25% wider colour gamut. It also offers louder speakers, with twice the dynamic range. 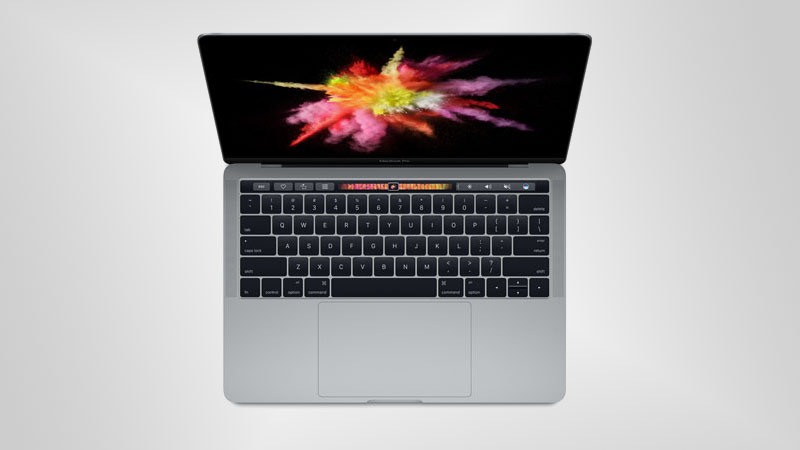 The 15-inch MacBook Pro runs on a quad-core Intel Core i7 CPU with memory that runs at 2,133MHz. A new thermal architecture made it possible to include Radeon Pro graphics based on AMD’s 14nm Polaris architecture, supporting up to 4GB video RAM. Apple has also improved the solid-state storage available to the MacBook Pro, offering an SSD that is up to 50% faster – with speeds of up to 3.1GB/s and sizes up to 2TB. The MacBook Pro 13-inch will come with Intel Core i5 and i7 processors, and will use an Intel Iris graphics processor. Both MacBooks will have four Thunderbolt 3 ports. These ports have the same form factor as USB Type-C, and any of them can be used to charge the laptop. 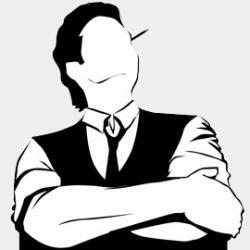 They also function as USB, Thunderbolt, DisplayPort, VGA, and HDMI connections. With these connectors, and the Radeon Pro graphics, the 15-inch MacBook Pro can drive two 5K displays plus the built-in Retina display. Apple also announced a model of the MacBook Pro 13-inch that does not come with a Touch Bar. It suggested that this model will effectively replace the MacBook Air as it is better in every way while being smaller and weighing the same. This model’s default configuration will be a 2.0GHz Intel Core i5 CPU, 8GB of RAM, 256GB SSD, and two Thunderbolt 3 ports. 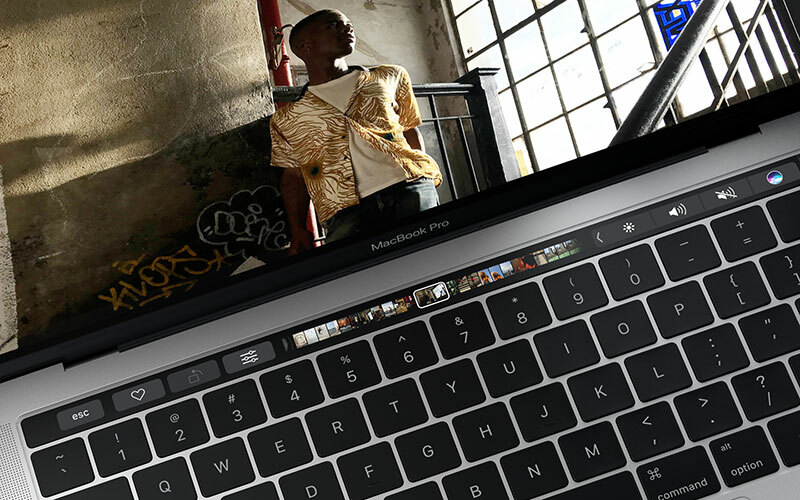 The new MacBook Pro 13-inch without the Touch Bar is shipping immediately, and is priced from $1,499. MacBook Pros with Touch Bars will start shipping in 2-3 weeks. The MacBook Pro 13-inch with Touch Bar will start at $1,799 and come with a dual-core 2.9GHz Intel Core i5 CPU, 8GB RAM, and a 256GB SSD. The 15-inch MacBook Pro with Touch Bar will be priced from $2,399 and run on a 2.6GHz quad-core Intel Core i7 CPU, 16GB RAM, a 256GB SSD, and Radeon Pro 450 graphics.